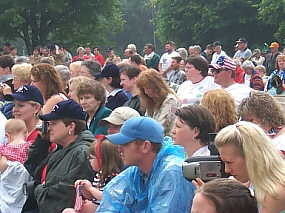 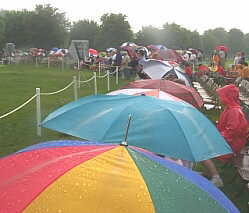 A Large Crowd Turned Out Despite the Rain. 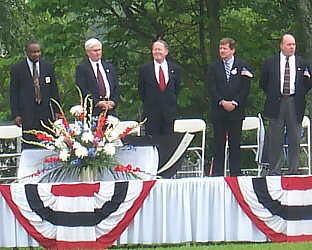 Veterans Affairs Commissioner John Keys and Congressman John Duncan Jr. and Senator Lamar Alexander and other Dignitaries. 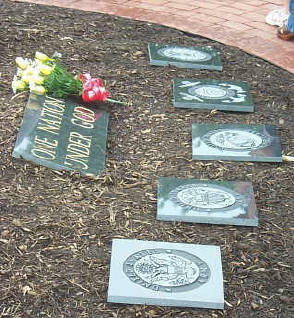 Seals of the Armed Forces Presented to Former Veterans by Lt. 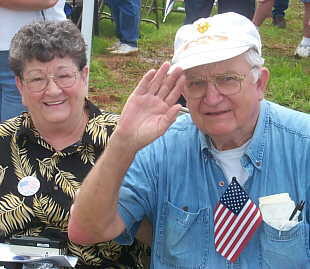 Colonel Wayne Key. 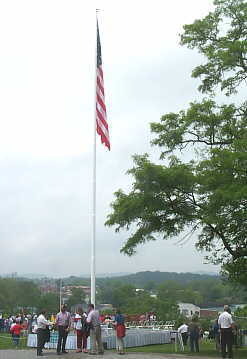 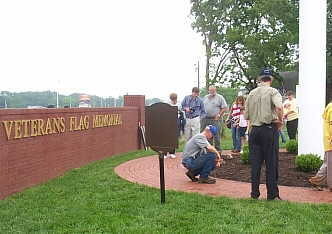 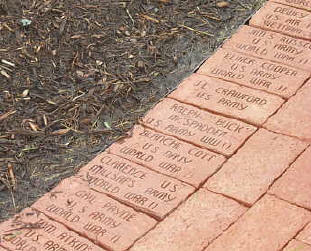 Bricks Circling the Flag Pole With the Names of Former Veterans. 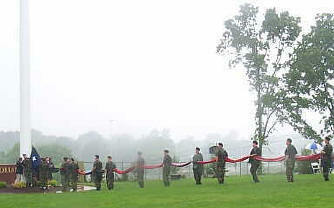 Raising the 30' x 60' Flag in a Rainy Start to the Veterans Flag Dedication. 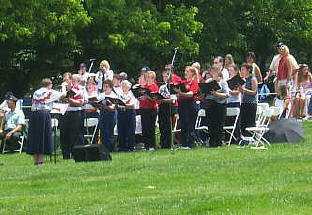 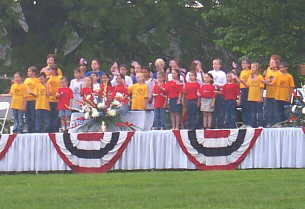 Sweetwater Valley Citizens for the Arts Choir Performing Through the Rain. 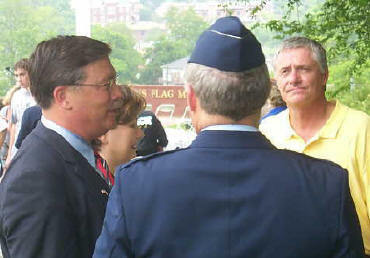 News Anchor Gene Patterson Chatting With Johnny Payne, USAF Pilot of Air Force II and Larry Sloan.